wow ... it looks like WONDERFUL!!!! what is the chart you have used for the top design? 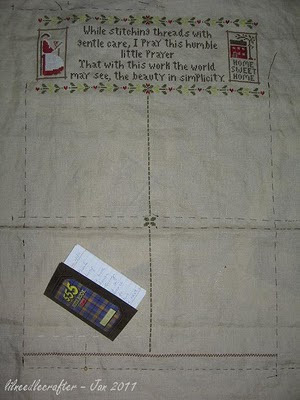 Kath, that chart is A Stitcher's Prayer by LHN.